With your Signia hearing aids, you now experience even more than the best hearing aid technology. 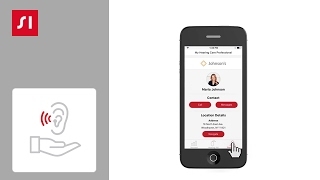 You also enjoy the gold standard in support through guided assistance, personal progress monitoring and live communication with your hearing care professional via CareChat (text message, phone call, or video call), wherever you are. 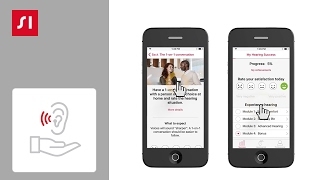 The myHearing App is your tool to connect with your hearing care professional, get ot know and evaluate your hearing aids and get immediate assistance to adjust your hearing aid settings without paying a visit. Communicate with your hearing care professional in real-time via CareChat (text message and phone call – you can also be contacted via video call), and let them adjust your hearing aids remotely as you need it.